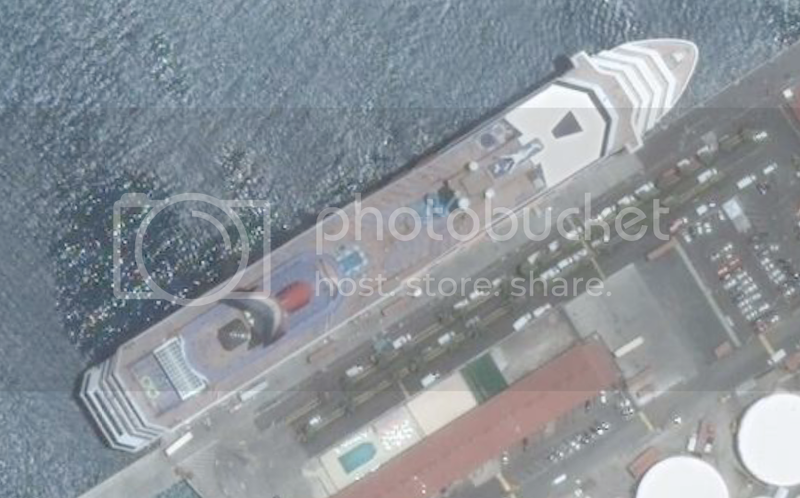 Google Earth is a free program and great tool for those of you looking for unusual pictures, love spying on your neighbors or even your favorite cruise ships. I have spent some days during my free time browsing for cruise ships in different places around the world, and have managed to create a nice collection of such. I will post one image at the time in order to have them identified as we go along. Once the ship is identified, I will continue posting the next image. This means you have to participate to be able to continue seeing new shots. Please also state why you think it’s that exact ship (what gives it away Question ) to clear any possible doubt. The second ship is definitely an old NAL ship whilst the small one on the first shot, is probably ...uhmm... Europa? The first one from the last post is a Princess ship, there are all carbon copies so its all anyone's guess. I think the small one in the first picture is Bremen, she is easily recognized by her square sundeck on the top deck and the zodiacs behind the funnel. The ferry is of course Fjordline's Jupiter. Bremen will call at Bergen on June 29. Excellent... thank you so much Sigve: I totally agree with your observations! PS: I could never have picked up the Jupiter though: that is a vessel I have never seen in real life myself. I think I remember reading she ended up somewhere in Asia (or Hong Kong?). 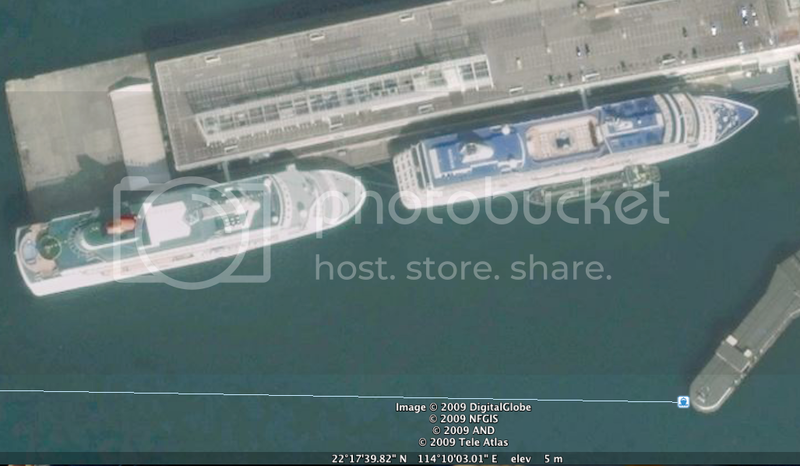 I noticed some of the images on GE for Alang Beach India, also included a couple of ships. Based on the image date, which ship could this be? 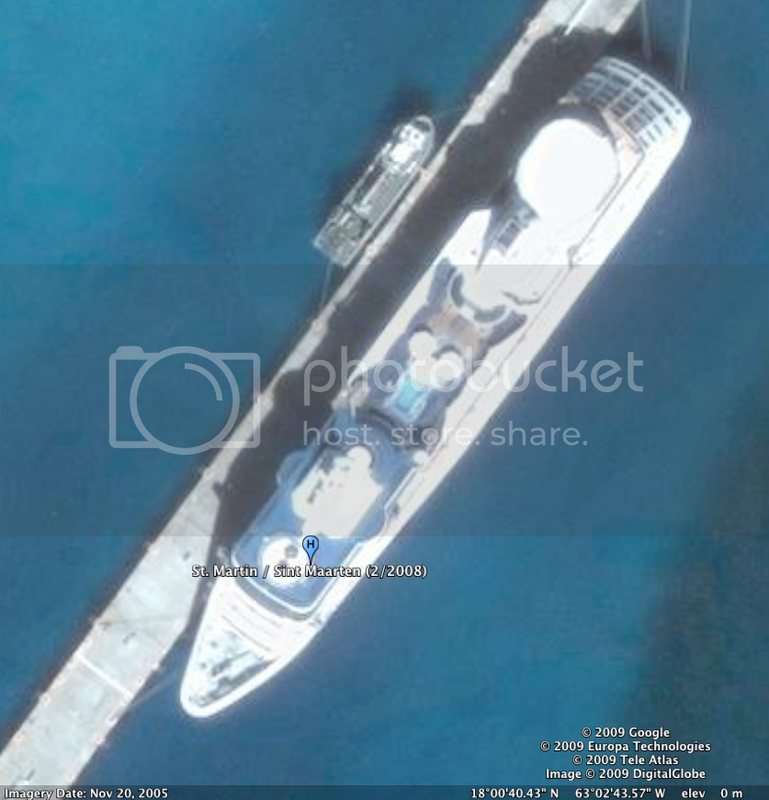 That is the first time I've seen a sub underway caught on Google Earth. I like looking at the russian bases and fijords around Murmansk. There are too many old rusting hulls to count. Actually, studying all areas of the Russian territory can be quite interesting... there are a lot of shapes, buildings, and things (large holes in the ground) which we have no idea what is. Sounds like a challenge for all CV members - Identify those ships! And the funnel seems to look steamlined on the front edge. Guess i will be doing some 'googling' tonight!